Ã¢â‚¬Å“Back to the FutureÃ¢â‚¬Â. 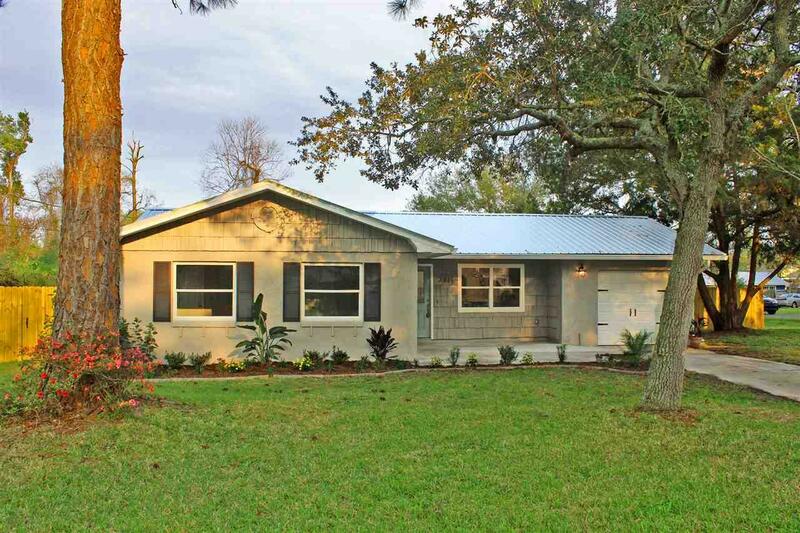 From a new metal roof to beautiful wood laminate flooring, this 3 bedroom 2 bath dollhouse has everything new owners need to enjoy Florida living at its best! This 1258 sq. 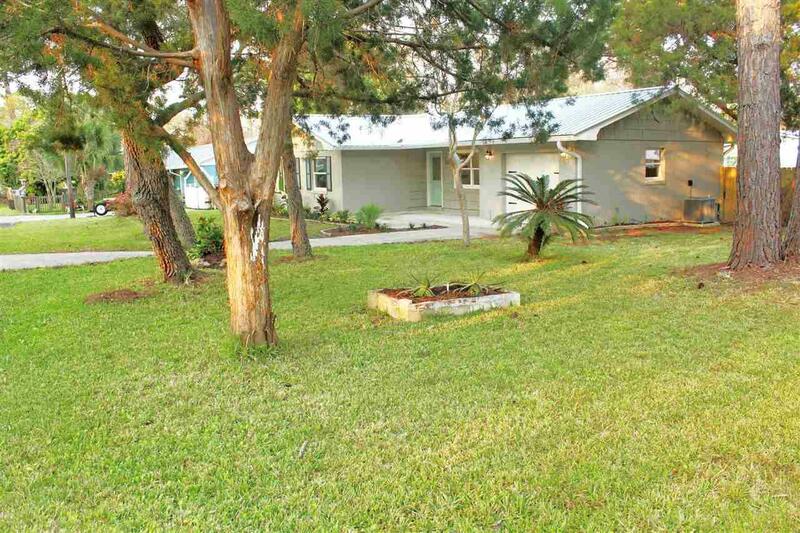 foot property has been completely remodeled from the ground up. The open concept welcomes you to a gourmet kitchen, luminated with recessed lighting, complete with new stainless steal appliances, 42Ã¢â‚¬Â wood shaker cabinets with soft close, Quartz counters, kitchen island, and cypress coffee bar. Perfect for intimate entertaining, or a separate childrenÃ¢â‚¬â„¢s play area is a dining room, sunken family room, or conversation pit, leading to a new cedar screened porch with tongue and groove cedar ceiling. The master bedroom offers a walk-in closet, new carpeting, celling fan & lighting fixture. The master bath boast of a double vanity, new toilet, lighting fixtures, & an exquisite subway-tiled walk-in shower with travertine accents. The same charm and elegance of a new toilet, lighting fixtures, single vanity & tub with subway-tiled travertine accents can be enjoyed in the second bathroom. All bedrooms have plush new carpeting, ceiling fan & lighting fixtures. Laundry facility provides plentiful cabinets, storage, & folding counter for ease & cleanliness. This charming property offers natural lighting throughout, & a built-in for precious keepsakes, accenting, or personal dÃƒÂ©cor. The unseen extras that make a big difference include all new: gutters & downspouts, windows, exterior doors, single car garage door & motor, new HVAC & all duct work/vents, re-piped & replumbing, all new electrical panel & rewiring, new insulation in walls & attic, new drywall & knockdown ceiling. Contemporary paint, trim & accents enhance this propertyÃ¢â‚¬â„¢s charm. All nestled on a 2.5 corner lot, surrounded by natures beauty, new tropical landscaping, & a rear paver patio with LED can lights for year-round enjoyment. 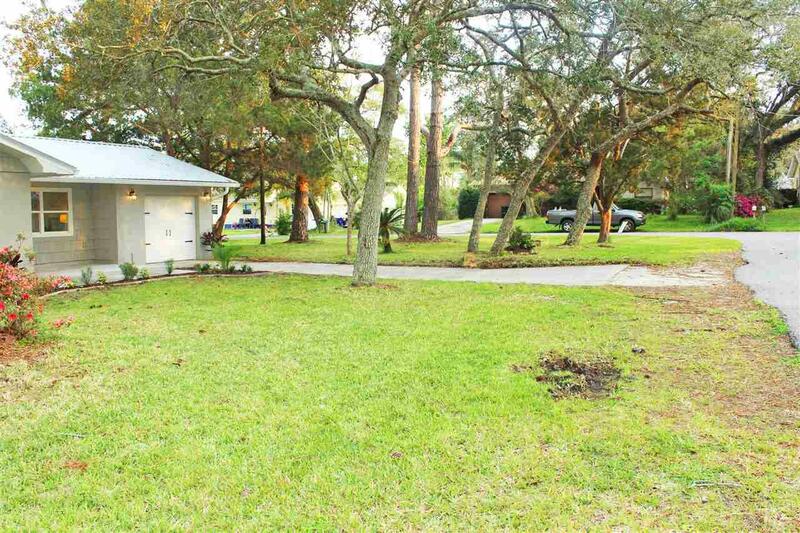 Privacy and security are provided by a fully privacy-fenced rear yard.